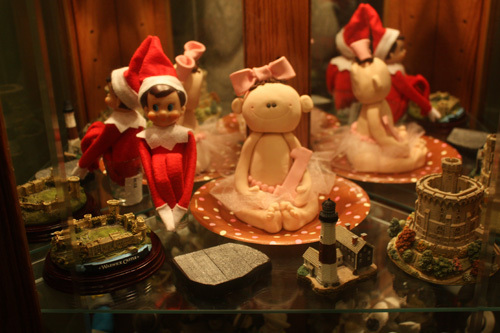 Elf is really on a shelf! Elf decided he wanted to really be on a shelf today. 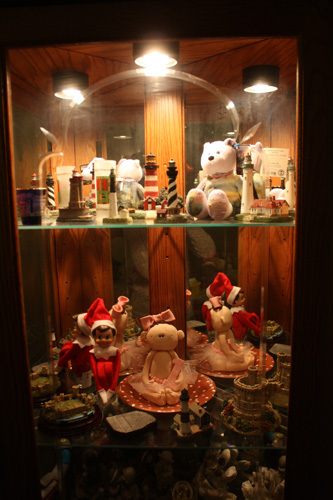 Except, he sat his little bum into a shot glass that was in the curio cabinet. Hee! Doesn’t he look suspicious in here? Yes, I kept the topper to Autumn’s 1st birthday cake! 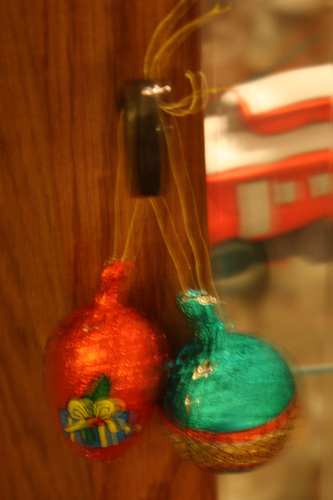 Elfie also left the kids some nice candy ornaments on the knob to my curio cabinet.